Specifications: 169 sq. ft. interior main floor, 169 sq. ft. unfinished upper floor, total 338 sq. 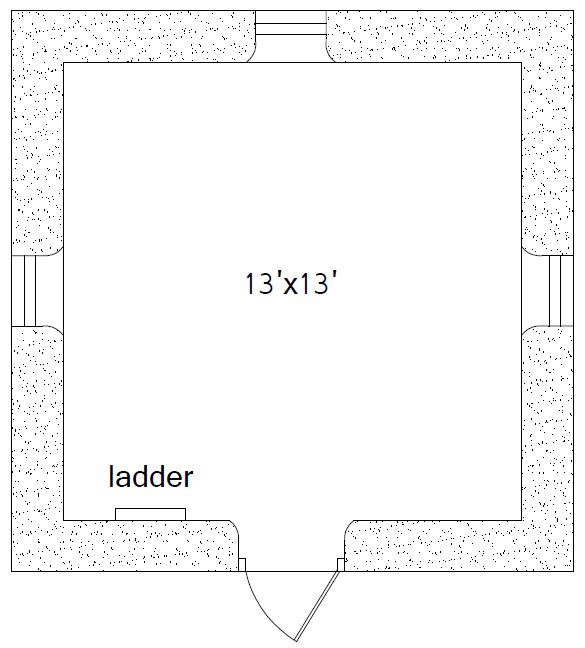 ft. interior, Footprint: 16′ x 16′. 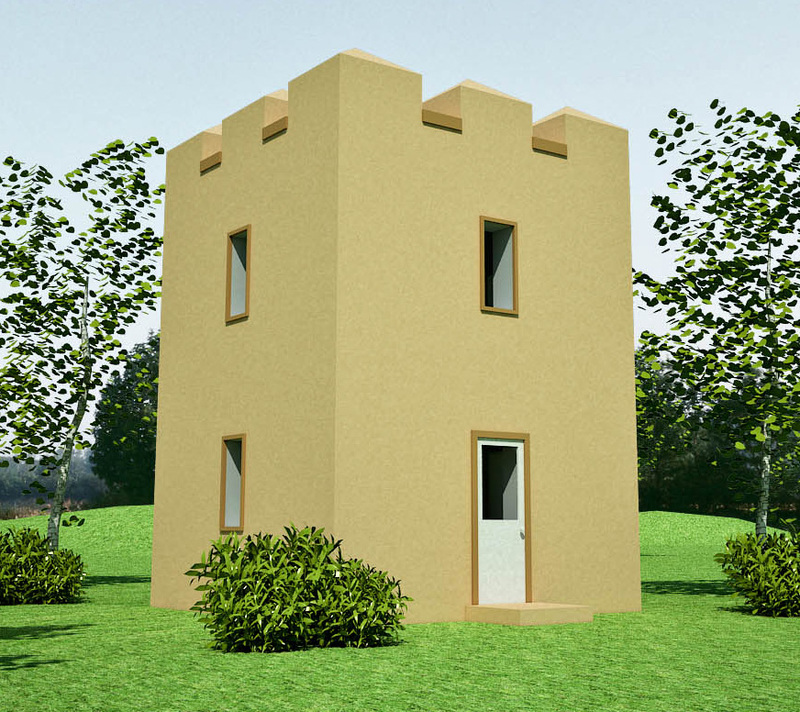 Description: The Guard Tower is part of my Earthbag Castle that should be completed soon. The Guard Tower serves as a tool shed and observation tower in ‘peaceful’ times. It could also function as a small dwelling for workers. OH MY! Just found your castle design and its Awsome. As stated in my previous note, we live in nw Utah. Plenty of sand and some clay. We have 320 acres that we wish to turn into a large paintball field. 160acres of that is farm land that will remain that way but the rest is badlands except a resavour of aproxamatly 20 acres. I have planed for 2 castles in opissite corners of the property. A Hobbit villa. An Elvin forest. Much more. would it be possible to make this a 3 story like the observation tower? or is that not possible because of the square structure. thank you for all the great designs, plans and methods!! Yes you can go 3 stories. Just realize it’s a lot more work.